At the loom! The fiber is a beautiful 100% bamboo. 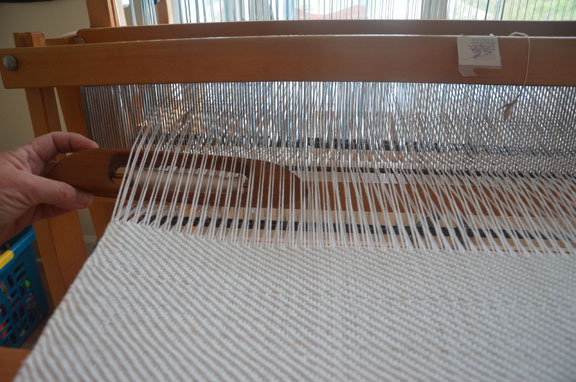 A little fragile on the warp – more fragile it seemed while warping – is holding fine now that I’m weaving with it. I had a plan for a garment when I started this (ashamed to say several years ago….) – and I’m hoping that the plan holds true even after the time and memory abuse! …. stay tuned!